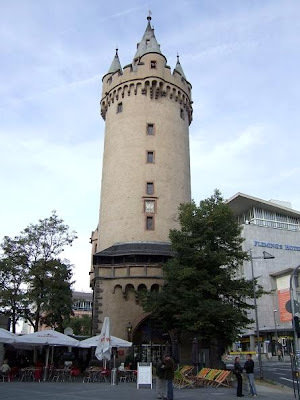 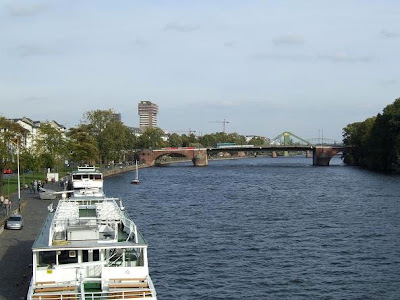 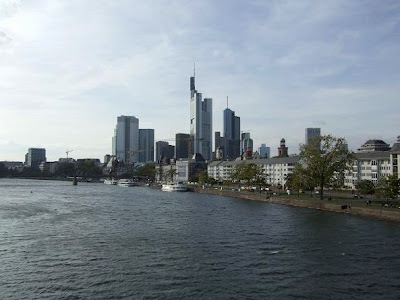 Frankfurt am Main is situated on the Main River in the south-west part of Germany. 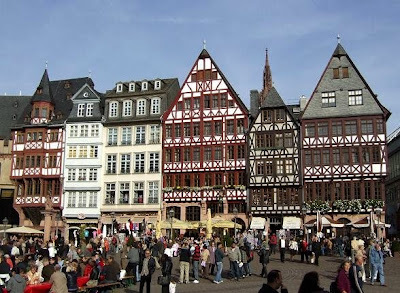 The city is the financial and transportation centre of Germany and the largest financial centre in Europe. 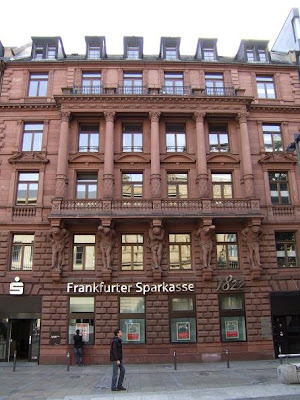 Frankfurter Sparkasse, opposite the Frankfurt Stock Exchange. 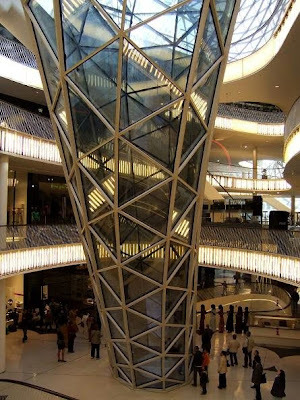 Palaisquartier Tower, close the MyZeil Shopping Centre. 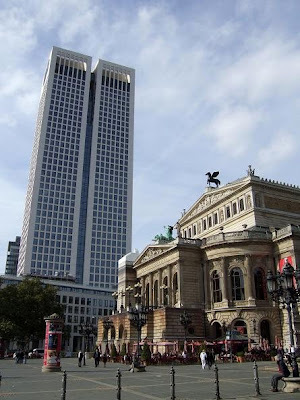 Buildings opposite the Old Opera House. 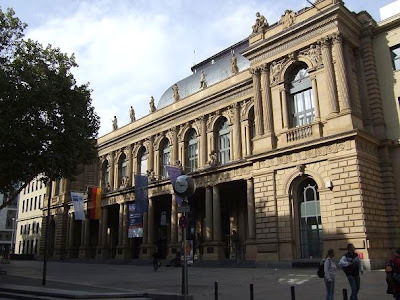 The Frankfurt Stock Exchange was established in 1585 and is operated by the Deutsche Börse AG. 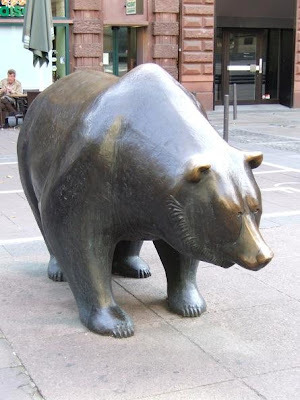 It's one of the biggest stock exchange places in the world with more than 300 market participants. 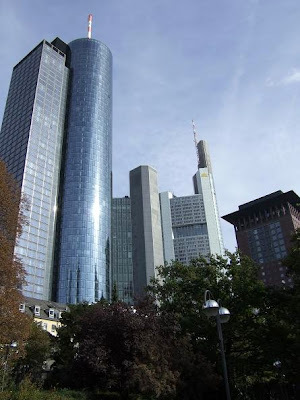 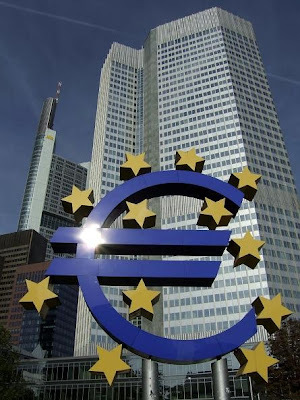 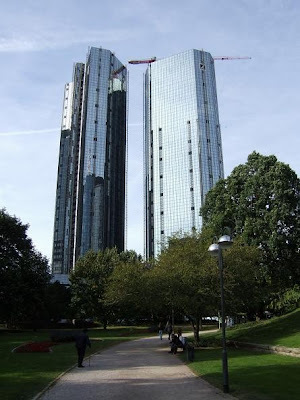 Frankfurt's skyline is dominated by high-rise buildings that are situated in the financial district of the city. 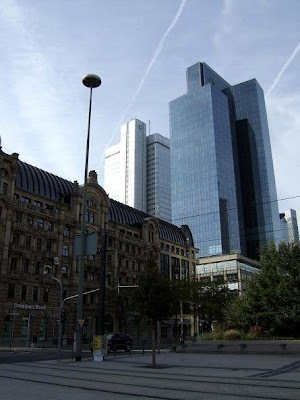 With 10 skyscrapers, Frankfurt is ranked second of cities with the most skyscrapers in Europe. 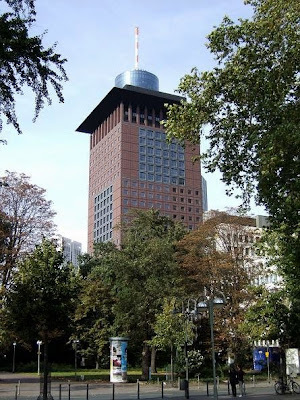 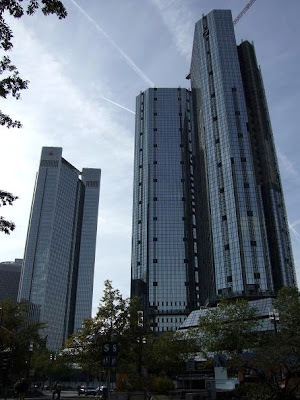 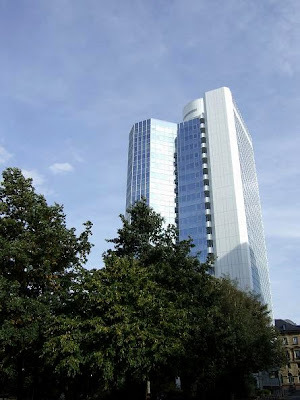 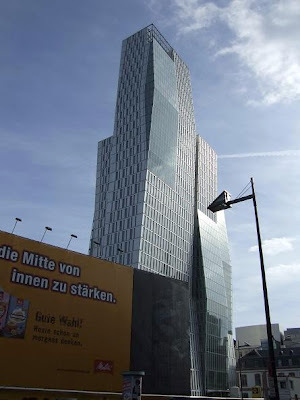 The tallest skyscrapers of Frankfurt is the Commerzbank Tower, With a height of 259 metres (850 ft). 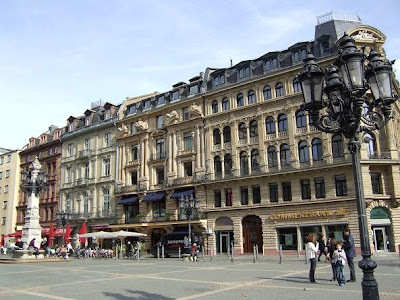 The Römerberg Square is located in the historical centre of Frankfurt. 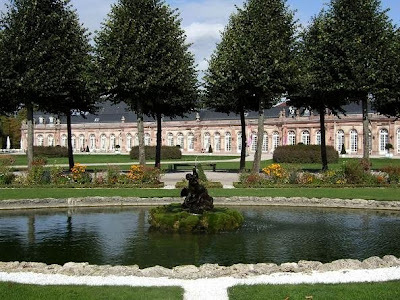 The square was destroyed in a bombardment in WWII but rebuild in the original style. 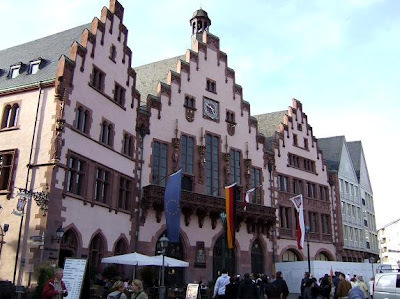 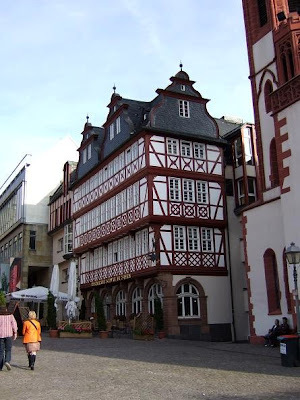 It is surrounded by half timbered houses and the Römer(1st photo), which is the town hall of Frankfurt am Main. 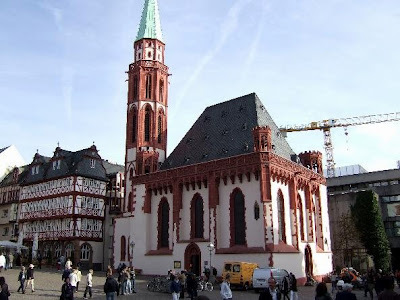 On the south side of the square is the Old Nicholas Church(3rd photo). 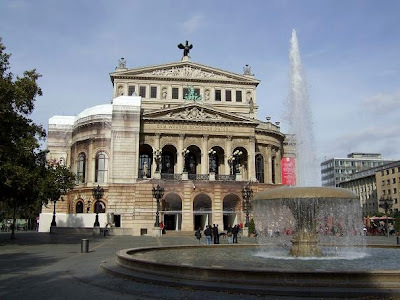 The Old Opera House in Frankfurt was build in 1880 in Renaissance style. 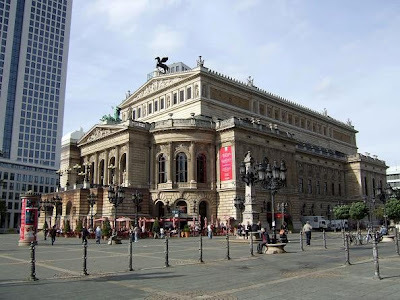 At that time it was one of Germany's most important opera houses. 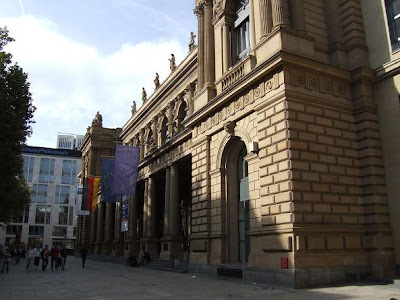 After the building was heavily damaged during World War II, it was reconstructed as a congress and concert hall. 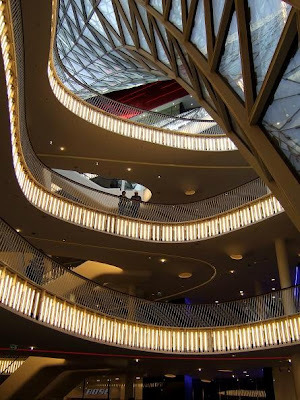 The MyZeil shopping centre is located in the centre of Frankfurt on the Zeil shopping boulevard. 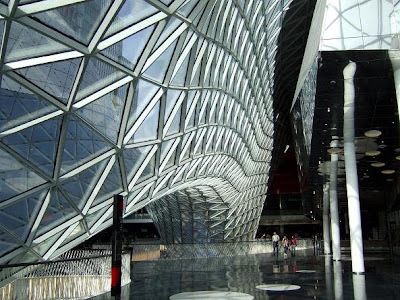 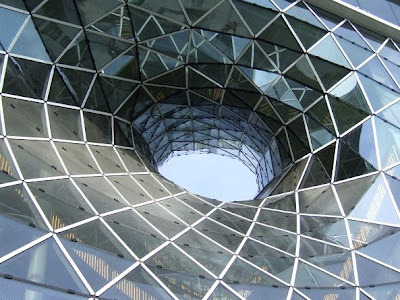 It was designed by the Italian architect Massimiliano Fuksas and opened in February 2009. 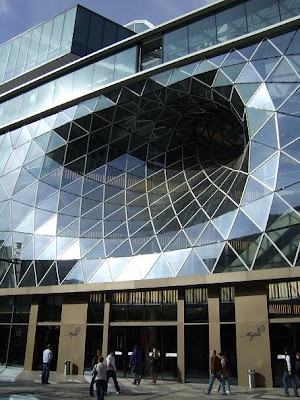 Under a spectacular glass dome you can find more than 80 shops in an area of 77,000 square metres. 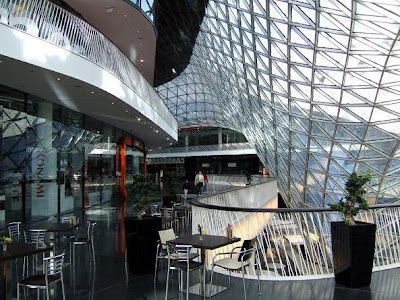 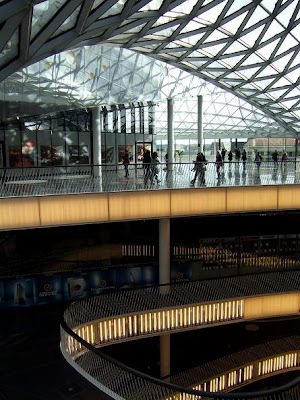 The MyZeil has shops of national and international brands and offers a variety of gastronomic, fitness and fun opportunities for the whole family. 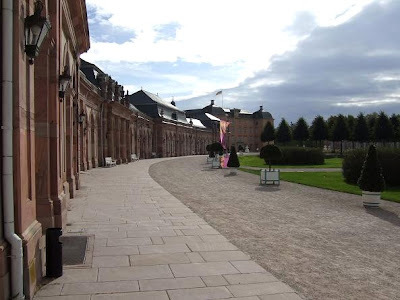 Schwetzingen Castle was the summer residence of the Prince Elector Carl Theodor. 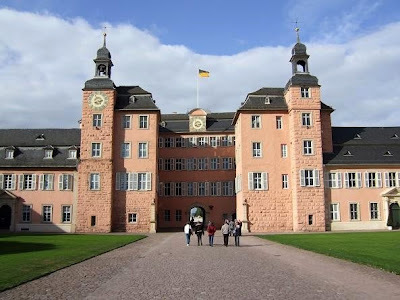 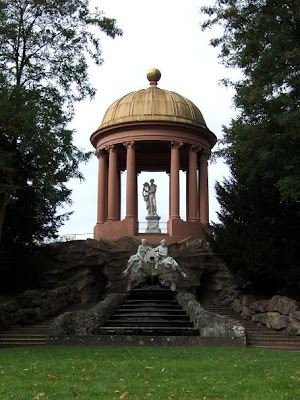 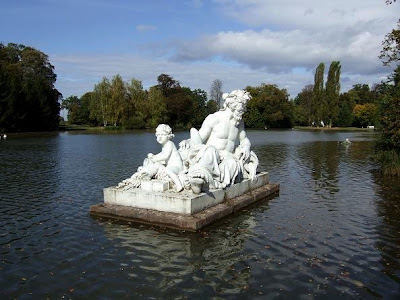 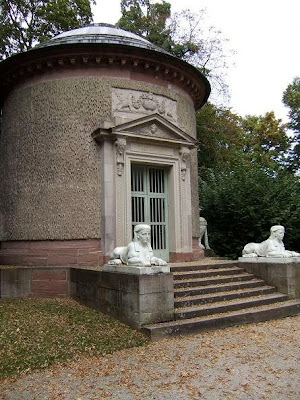 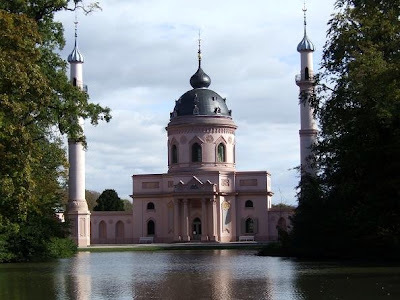 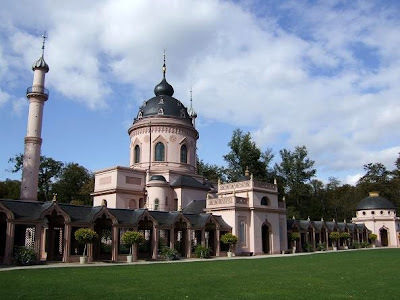 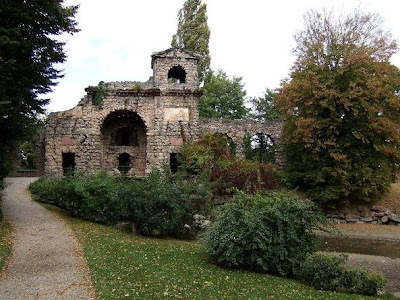 It is situated in the German state of Baden-Württemberg. 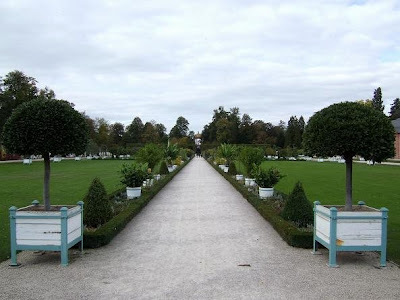 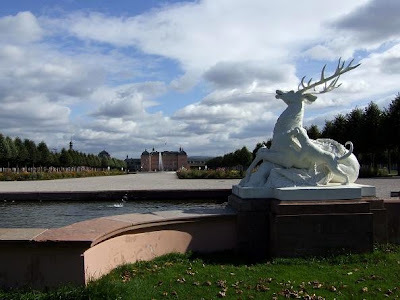 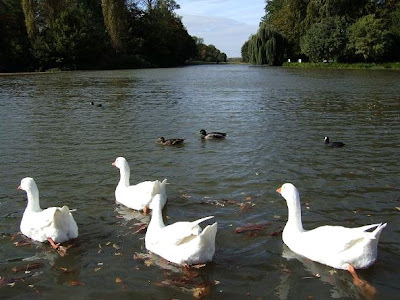 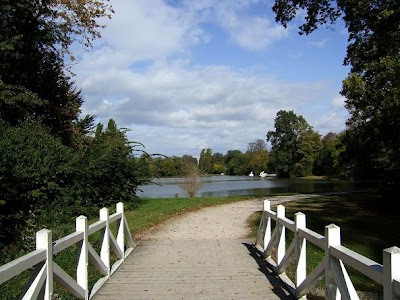 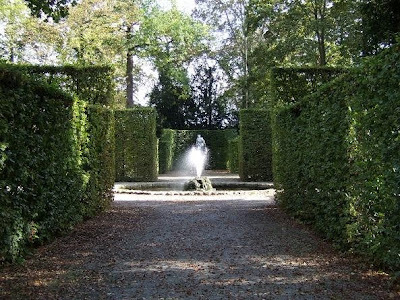 The construction of the Palace began in 1697, the garden was created in the second half of the 18th century. 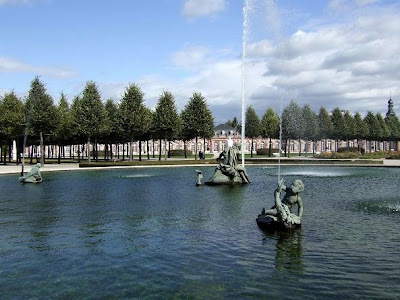 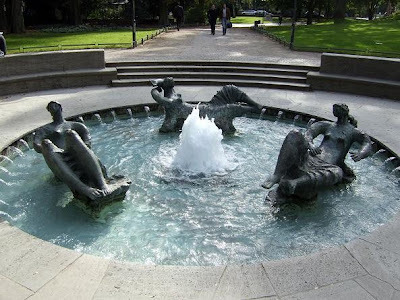 The complex is famous for its wonderful garden that is filled with pounds, fountains, sculptures, a mosque and many other beautiful things.